The Fight for California’s Future is an open-ended effort, underway since 2009, to educate the public about the real problems facing the state, and the real solutions that will fix them. Our work on the Schools and Communities First initiative is the most recent phase of this campaign, which began with the March for California’s Future and passing of Proposition 25 in 2010. There are two parts to this picture. We have a tax system that does not ask those who have the most wealth and resources to pay their fair share—even with passage of Prop 30 and Prop 55, wealth and income have been massively redistributed in California and the nation over the past three decades in the wrong direction. The top one percent take home nearly a quarter of all income, up from 8 percent three decades ago. At the same time, the very richest people are paying fewer taxes overall and keeping more money for themselves than they used to. Their greater share of income, and lower tax rates compared to decades ago, equal the neglect and decline of our public services. Until recently, the general population has not realized how skewed the economy has become. This arrangement was kept in place by undemocratic rules in the state constitution that allowed anti-government, anti-public education forces to block the will of the majority of the people of the state and the majority of the Legislature as well. One third of the Legislature could stop any tax increase or block the state budget. With Prop 25, the Majority Budget Act, a simple majority now can pass a budget. But the two-thirds supermajority rule for passing a tax remains in place, and needs to be changed. The Fight for California’s Future seeks to bring together everyone who wants to protect public education and services. CFT is working hard with other unions and community organizations to bring new revenues to the state so that we may fund education and necessary services properly. And we are working to educate the public about who and what the obstacles are to a better future for all Californians. 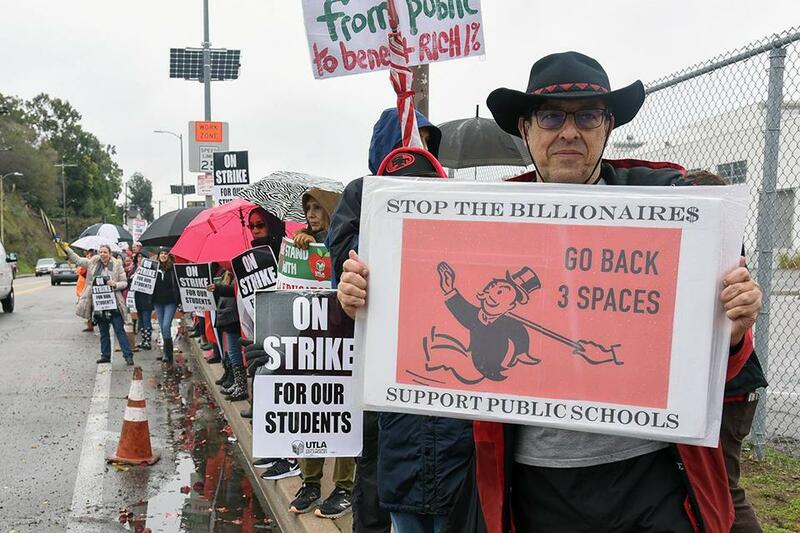 The next step in the fight for fair tax policies is the Schools and Communities first initiative on the November 2020 ballot, created by a coalition of unions and community organizations working to close loopholes created by Proposition 13 in 1978 that allow large corporations to avoid paying their fair share of property taxes. If passed, the initiative will restore over $11 billion per year to California’s schools, community colleges, health clinics, and other vital local services.